As you all know, I’m a big believer in taking back your life at any age. 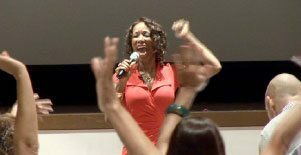 In fact, I’ve been called “America’s #1 Expert on Looking Fit, Fierce and Fabulous After 40.” I believe that helping women just like you is my true calling in his life. However, as a 65-year-old mom and grandmother, I understand the insecurities and doubts that can creep in as you get older. Those same doubts can keep you from taking action day after day, year after year. That’s why today is the day to kick those doubts to the curb, and start taking back your life one step at a time. One of the best ways to get started is changing your diet, and the way you think about food. Why is changing your diet – and the way you view food – so important? Because so many of us have a complicated, and sometimes unhealthy, relationship with food. Food is wonderful. The foods we eat feed our bodies, allowing us to achieve our goals and achieve optimal levels of health and wellness. However, those same foods can contain harmful ingredients, excessive fats and sugars and other additives that harm our health and keep us from reaching those same goals. Our ideal relationship with food should be one of balance. Educate yourself on what your body needs, and at what age. Which nutrients are key, and why are they important? Your first dietary goal should be to get what your body needs to be its best. That means enough protein, enough fiber, enough calcium … you get the idea. No diet should ever reduce your food intake to the point that you aren’t getting the nutrients you need to thrive. Once you’ve ensured that your diet is meeting your body’s needs, start focusing on minimizing the things you don’t need. Yogurt, for instance, is a great source of protein, calcium and helpful gut bacteria. If you like yogurt, take a look at the brand you currently enjoy. How many grams of sugar does it have per serving? How does it compare to other brands? Is there a healthier option you could try? Kefir, a drinkable yogurt, is often lower in sugar and has been used as part of healthy diets for hundreds of years. A diet that is too strict, with no room for treating yourself, is one of the fastest ways to failure. While you may maintain a diet like this for a while, eventually you’ll start craving those favorite foods that you no longer allow yourself. Plus, if you do slip up and indulge, you’ll feel like you’ve failed, which makes you more likely to call it quits. So leave room for a little bit of what you love. There are many ways to do this – you can find a lower calorie alternative, or use portion control to keep track of how much you’re eating. Allow yourself a treat on the days you’ve worked especially hard at the gym, when you’ve burned enough calories to minimize the impact of your indulgence. And, lastly, enjoy! It IS okay to treat ourselves. It is NOT okay to binge eat ourselves into a coma. 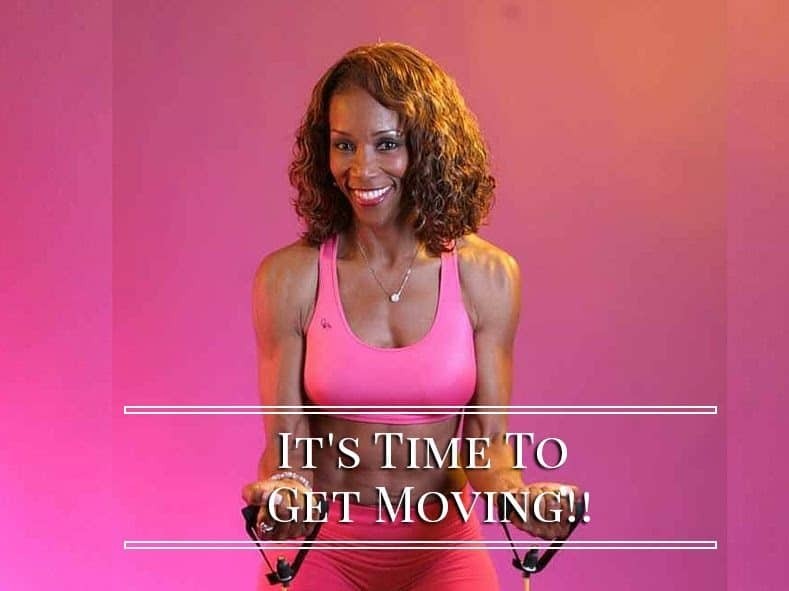 At 65 years young, I know that it takes focus, dedication and discipline to live your best life regardless of age, and this includes a healthy and balanced approach to the foods you eat. Cleansing is also important. Cleanses give you more energy, focus, help you to absorb all the good nutrients u take in, helps to avoid illnesses and gets rid of body fat. In fact, there is a 30 day cleanse I use all quite often. 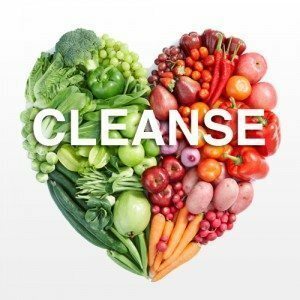 If you’re interested in finding out more about the cleanse I use, just send me an email. 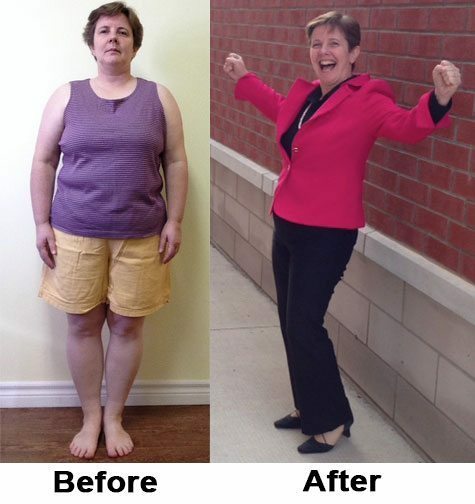 I love helping people change their relationship with food and fitness. Tell me, how have you changed your relationship with food. What strategies do you use to maintain a great relationship with the foods that nourish you? How do you stay Fit when traveling? Have you done any traveling this week? I know lots of folks have been traveling this week mainly because of spring break. You ever wonder how to stay in shape when traveling? Well it’s not as difficult as you may think. It just takes a little discipline and getting used to when planning your trips. I do it all the time. Take a look at my “Fit Fax” this week and I’ll share with you some traveling tips. 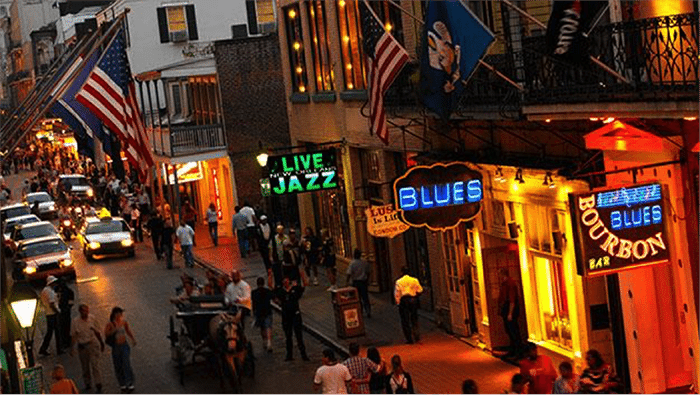 In fact, I will be in New Orleans next week appearing “LIVE” as the keynote speaker for Smart Meetings’ National event. 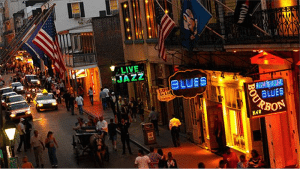 So if you will be in New Orleans in the next week, I would love to see you! Carry a resistance band and a rope in your suitcase so you can do resistance training like rows or curls and/or you can do body weight exercises too, like pushups and squats if you forget your resistance band. Otherwise, be sure to plan ahead and seek out places that have a gym like a hotel. That way you can use that facility. Drink plenty of water especially when flying because airplanes dehydrate you. Many people order sodas and alcohol when flying, but that dehydrates you even more. So try hard to stay away from all that. Have water or caffeine free organic tea instead. I always travel with a couple of tea bags in my purse. When eating on the road and dining in new places remember to cut out creamy dressings for your salads, hold the gravies, glazes and other fancy sauces that come with your dishes. Replace them with light healthy oils or enjoy your food with just the tasty spices. This is a good start to staying healthy and fit while on the road. And you’ll be so much happier and guilt free after you return home. Happy travels! Do you have any traveling nightmares that you need help with? 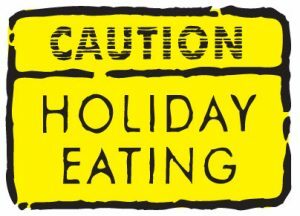 Eat to lose & keep it off! You know what? I just have to say something because I keep hearing over and over again these words, “I don’t have time to eat breakfast.” Really? I say, Make time if your health is important to you! I know…I know what you’re going to say – Easier said then done Right? Well as you know I never like to tell you what not to do without giving you a plan on how to fix it. So listen in on the segment I did yesterday (Jan 23, 2015) on TV with San Diego Living 6 – The CW shot live from 9am to 10am. I give tips on how to get your breakfast and your workout on! Click on the image or here to view this segment. In the meantime, be sure to leave your comments and thoughts with me. Many have asked the question – Where do I start? Breakfast is where you start. You must break your fast – Fast! “People skip breakfast because they think they’re cutting calories, but in truth you are setting yourself up for failure because you are starving your body and causing it to increase or sustain weight gain. Your metabolism actually slows down and you tend to eat more later in the day. Plus your energy becomes erratic which is why many complain of lack of energy to not only do your workout but merely function during the day. According to The National Weight Control Registry People who habitually eat breakfast have maintained a 30-pound (or more) weight loss. Other research conducted found that regular breakfast eaters were more likely to exercise regularly. And women who ate breakfast regularly tended to eat fewer calories overall during the day. Always carry healthy snacks with you (like nuts and fruit) so you keep your energy up and you don’t mindlessly nibble on the wrong stuff. Have you lost your mind yet? How did you do with your Holiday meal last week? Did you try some of the tips I gave you to help keep those calories down? Remember every little bit helps. For those of you who did try it and dropped me a note on how you did…GOOD JOB! It’s a great start! If the tips didn’t work for you this time because you just LOST YOUR MIND 🙂 that’s ok too. You know why? It’s the Holiday! Keep reading and I will tell you how to make up for that in a moment. First let me ask if you’ve set some healthy new goals for yourself yet? If so, send me an email or Facebook me so I can help you get started. I have definitely set my own new goals for the coming year. Two of my goals are taking my body to a new and exciting level and the other is to meet new people and create significant relationships and partnerships. 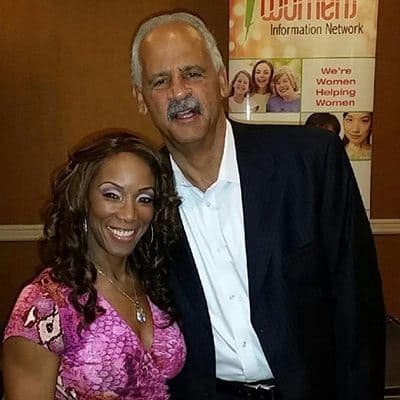 I actually started that process recently when I had the opportunity to share the stage with Stedman Graham (Oprah’s man) this month. He and I graced the opening of the WIN (Women’s Information Network) event the first day, while John Gray (Author of Men are from Mars & Women are from Venus), and others spoke the following two days. What a great event! I urge you too, to get a head start on setting goals and making some healthy life changes. Also, look out for my 8-week group coaching program and fitness challenges coming soon! Now let me tell you how to make up for over eating last week. Everyone is bringing in Holiday joy that will sneak up on you so watch out for office nibbling. The calories will add up fast. Instead bring in your own snacks so you won’t be tempted. Do a juice cleanse for 3 to 5 days. Go back to a normal eating regimen with only one goody per week. 5. Throw away or give away any fattening leftovers so I’m not tempted to eat them. 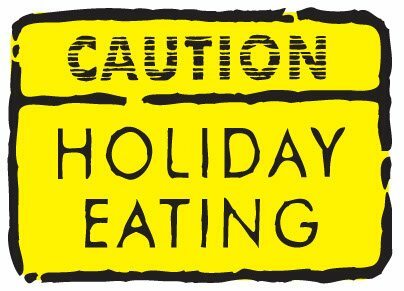 What will you do to avoid the Holiday trap this year? Weight loss is a major topic of concern these days. Many people are overweight in our society today. The average American lives a very sedentary life style. There is also an overabundance of processed foods and fast foods that make it easy for most people to gain weight. A large amount of people suffer from low self esteem due to a poor body image. The desire to fit in and look thin can cause people to drastically and quickly lose weight and then gain it back. This is very unhealthy. Stop the madness before it causes problems. Gaining weight is a process that happens over a gradual amount of time. As excess food is eaten, the body begins to store it as fat. Unhealthy food choices and lack of exercise cause weight gain. This process cannot be reversed overnight. The body needs time to gradually remove the excess fat. Many people want to make drastic changes to quickly remove fat. This can lead to starvation and excessive exercise. People will impose very strict dieting regimens on themselves to lose weight. They are then unable to maintain this unnatural sort of diet and eventually succumb to temptation and gain the weight back again. That why diets don’t work. Dieting is very unhealthy for the body and the emotions, especially when it involves drastic swings. This behavior sets up a repeated pattern of failure. This can cause depression and a sense of despair. This type of dieting is sure to fail. There are always new fad diets being advertised that promise quick weight loss. Even though some initial weight may be lost, the body will always win the fight for survival and you will need to eat again. Don’t diet just eat a healthy, balanced and portion controlled meal. It’s the best way to make sure that your body stays in balance and your emotions remain calm. The best approach to weight loss is the approach that utilizes sound nutrition and exercise. A reasonable approach seeks to lose a steady amount of weight over a gradual amount of time. In this way the body is able to maintain health and slowly use its stored fuel without feeling like it is being starved. Yo-yo dieting can become an addiction that leads to an eating disorder such as anorexia or bulimia. Be kind to your body, be patient and build muscle. 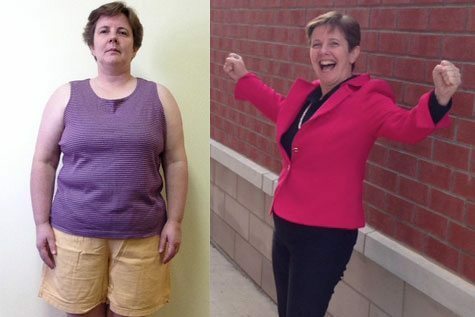 Slow steady progress is the best way to permanent weight loss and health. The vast majority of us that need to lose a little bit of weight would like to be able to lose it quickly. There are some dangers of fast weight loss, however, that need to be addressed whenever we decide to drop the pounds in this way. The unfortunate thing is, the temptation still exists and it is often prompted even further by those that are selling us the weight-loss products. Here are some of the dangers and why you should avoid losing weight quickly. First of all, fast weight loss often results in a rebound of weight gain. This is because we are not teaching ourselves healthy eating habits whenever we are losing weight quickly, and we are perhaps putting ourselves on a regime that is unsustainable. Fast weight loss also tends to take its toll on other parts of the body as well, such as the hair, skin and many of the internal organs. This could lead to further difficulties after the weight-loss has subsided. One of the other dangers of fast weight loss is that if you are losing a lot of weight, your skin may not be able to keep up with the weight-loss. This is often one of the biggest cosmetic issues with individuals who lose weight, and in many cases it is avoidable. 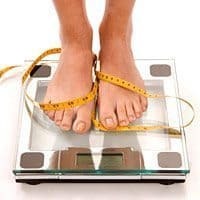 Losing more than two pounds a week is generally not recommended and can be hazardous to your health unless you are under the direct guidance of a doctor. When you lose weight fast don’t be duped in thinking its all body fat. On the contrary, you are losing precious muscle and other bodily fluids. And trust me you do not want to lose muscle. It is what gobbles up the fat and keeps you going among other things. TV shows like “Big Loser” give many a false sense of reality. Although it does take a bit more patience, you can avoid the dangers of fast weight loss by eating a healthy diet which maintains a calorie deficit and getting a reasonable amount of exercise. Although it may not be as exciting as losing weight quickly, it is something that can stick with you for the rest of your life. Na’vi Bodies – How BIG are you? Is smaller better? Do you know what your body type is? Are you pear shaped, apple, watermelon or maybe you are closer to the Na’ Vi Body like the one in the movie Avatar? They are a lot like human bodies right? Similarly, they have two arms and legs, two ears, two eyes, one nose and one mouth, but they are a bit more slender in comparison to the human bodies, although they still are similar in their proportions. That, however, is where the obvious differences seem to end. I thought it was interesting to note that the Na’vi anatomy includes a small tendril that protrudes from the back of the head and is covered by a ponytail. This tendril allows them to connect to the environment around them. 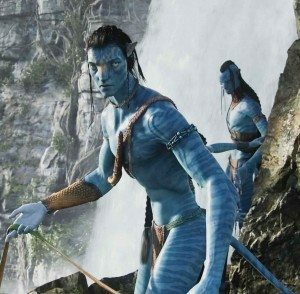 Other differences between Na’vi bodies and human bodies include the color of their skin and the fact that the Na’vi are several feet taller than the average human which gives them an advantage, as far as their strength and speed is concerned. That being said here’s my question and root observation. How fit are you? Some make this judgment on eyesight alone. The assumption is that if you are skinny or a person of average build you are healthy and fit and if you are fat or a person of larger frame size you are sick and unhealthy. Let me just say, it ain’t necessarily so Joe! Furthermore no matter what shape or body type you are or even if you have tendrils flowing from the back of your neck and blue in color like the Na’vi, it is not a measure of your health or fitness level. Far too often I have met with people who are of average size but unfit and unhealthy. Here’s what matters. Health! Focus on health and functional fitness first, not how you look and everything else will fall into place. AMEN! What generally happens to our physical fitness program when we travel? It all goes down hill right? Well it doesn’t have to be that way. All it takes is planning and a clear mind set of what you want to achieve. So often people tell me when they go on vacation or away on a business trip, they not only didn’t workout, but they over ate on all the wrong foods. #1 Rule – Don’t stay anywhere that doesn’t have a gym. These days that is pretty hard not to find. #2 Rule – Plan your workout time just like you plan your meal times and pencil it into your day planner the same as you would if you were planning a business lunch. #3 Rule – Reprioritize and rearrange your mindset on where exercise ranks in your life. Be sure to put it at the top. It must be recognized as a necessary and automatic function – Just like waking up in the morning and brushing your teeth or looking for breakfast. #4 Rule – If you are short on time do body weight exercises and/or whip out that exercise tube I so often talk about and get busy. #5 Rule – Make smart dining choices. Just because you are away from home there is still no excuse for eating bad. Many places today have a small selection of healthy menus. If they don’t, you have to mix, match and just ask for what you want. I do it all the time and 95% of the time I get my way. Traveling is stressful and exercise is the antidote – No doubt! 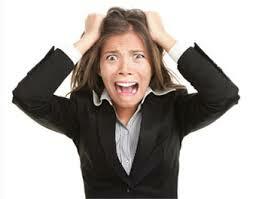 How are you handling the stress when traveling? Are you creative or just playing it by ear? I don’t usually talk about really personal stuff but in this case I feel there is cause for celebration and one thing worth mentioning. I am celebrating my twentieth anniversary this weekend and you know what — I am still having a blast! After twenty years we can still laugh, love, workout and have fun together. More importantly during the hard times and through all of life’s trials and tribulations I have never felt more supported. To celebrate we thought we should get in a quickie weekend getaway to wine country. I don’t drink but two of my favorite places are Santa Barbara and Temecula. I love the climate and atmosphere there. This time we chose Temecula to make more memories. One thing’s for sure out of all we did you can best believe I got in my workouts. Did you hear me! Oh yes, I got in my workouts! Got to…Everyday! I don’t leave home without it. : ) Ha ha! What I mean is getting in my workouts are important even when I’m on the road. There is no reason why I should stop being fit while I’m traveling. This lifestyle works for me and being involved in health and fitness only enhances my relationship. It not only keeps me healthy, but it shapes me into a happy, energized and responsible human who is excited about life’s possibilities and its increased opportunities to deepen my relationship. How about you? Are you enriching your life and fulfilling your fantasies? Are you aware that all you do and all you are begin with your health? Are you conscious of what your body is capable of and if so, are you taking action to bring it to its full potential? What’s your story?